Pyxis H12 Powerbank With 12000 mAh And 3 USB Ports Announced! Priced Really Low At Just 790 Pesos! Home / accessories / powerbanks / pyxis / Pyxis H12 Powerbank With 12000 mAh And 3 USB Ports Announced! Priced Really Low At Just 790 Pesos! Recently, we just spotted the latest offering of Pyxis, a highly interesting powerbank that goes with high battery capacity and never before seen features under 800 Pesos! Named as the Pyxis H12, it goes with large 12,000 mAh of battery capacity and 3 slots of regular USB charging ports. That triple USB ports is highly interesting as it can enable you to charge up to 3 devices all at the same time. The 12,000 mAh battery is also large enough to charge 4 smartphones with 3,000 mAh of capacity. Given all those above mentioned battery capacity and that un-usual 3 USB ports on a super low price of just 790 Pesos. 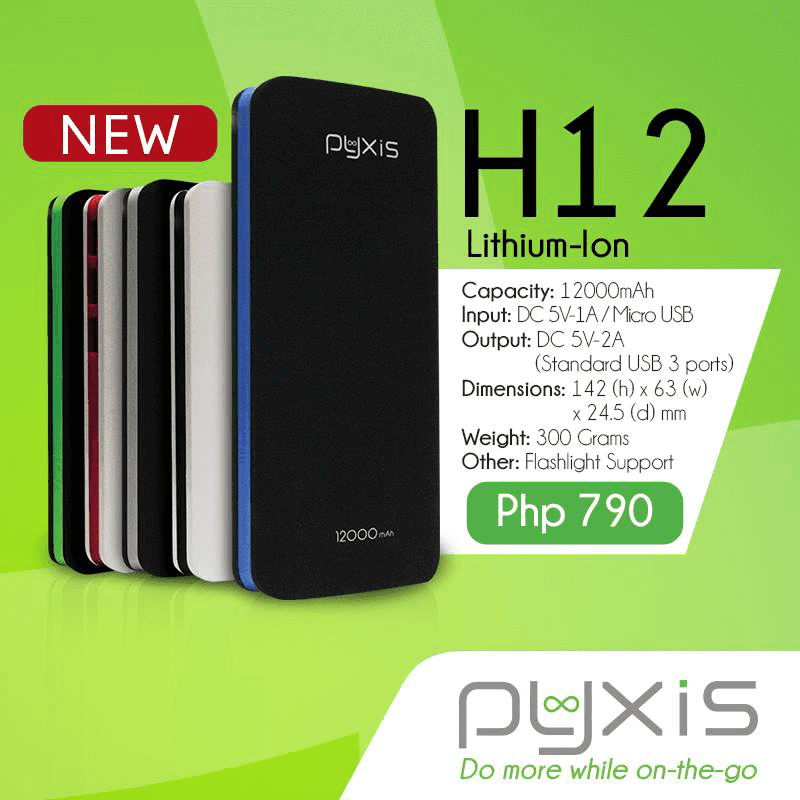 The Pyxis H12 has a chance to be one of the most sought after powerbanks soon. It's now available in all Cherry Mobile concept stores nationwide.